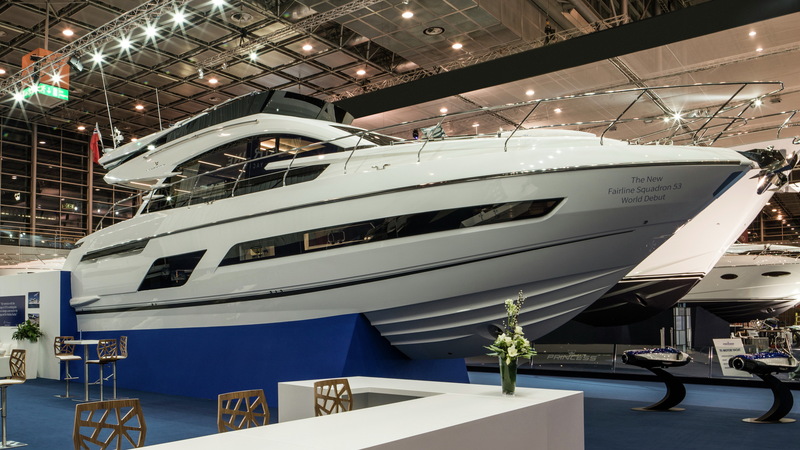 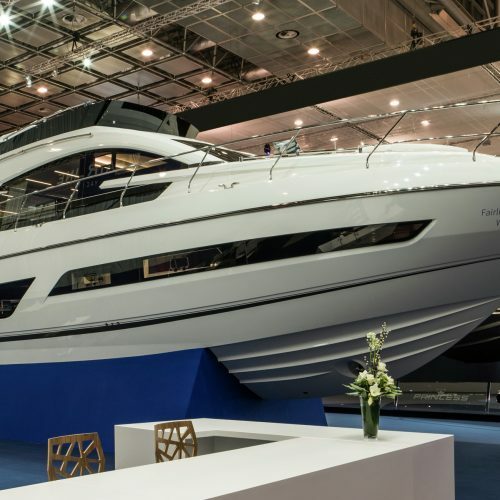 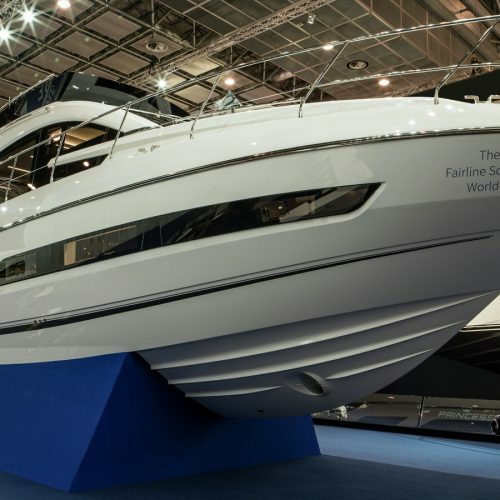 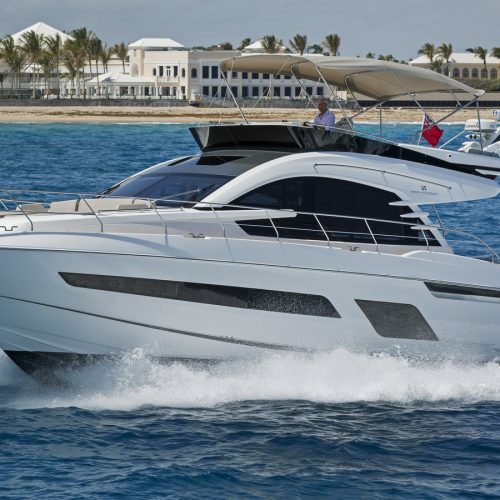 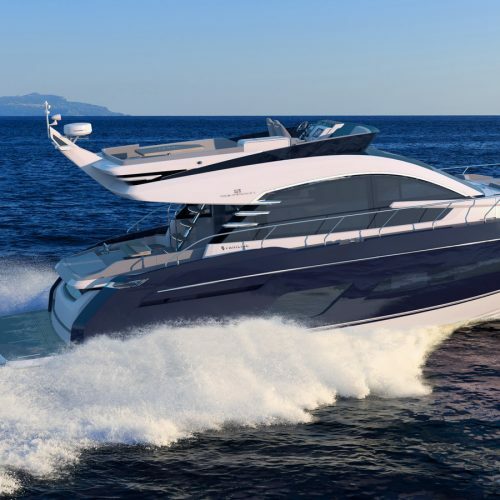 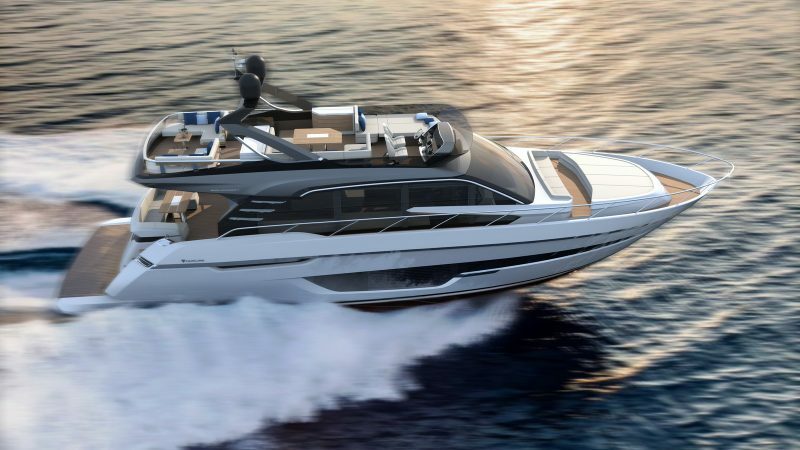 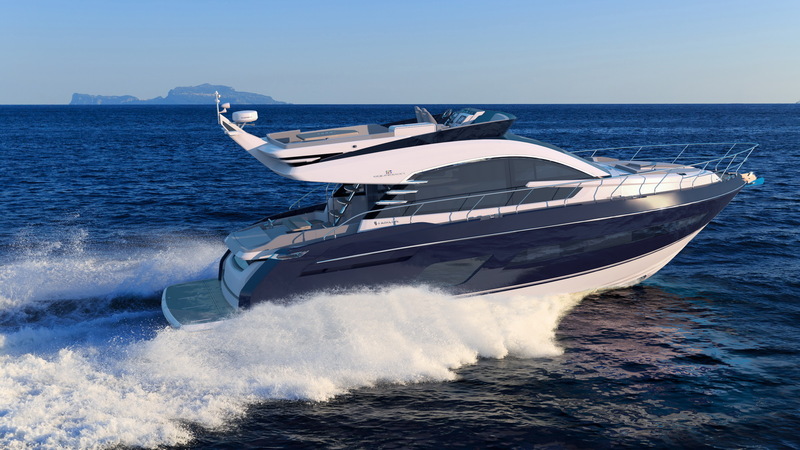 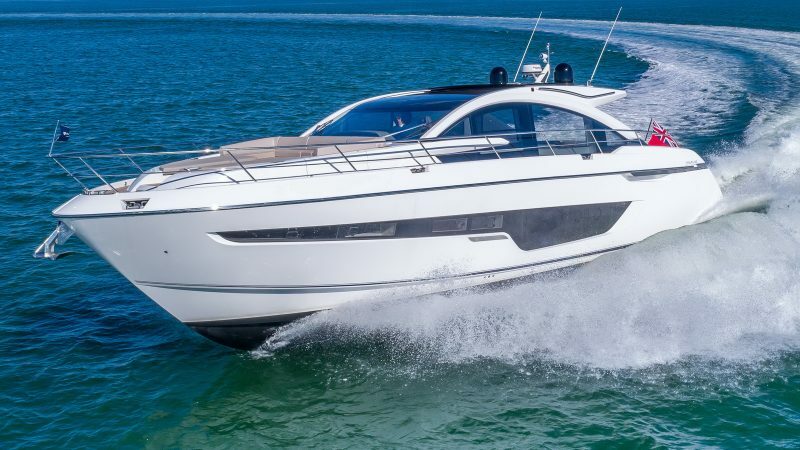 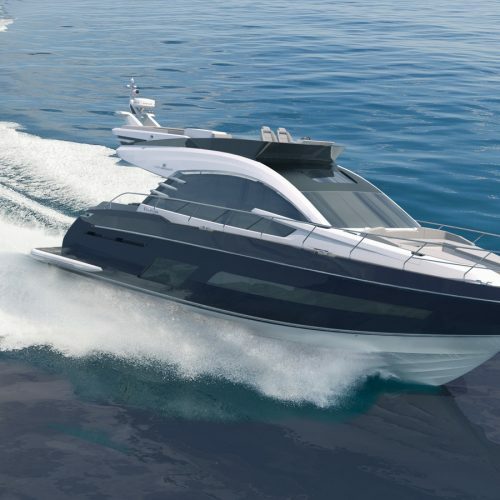 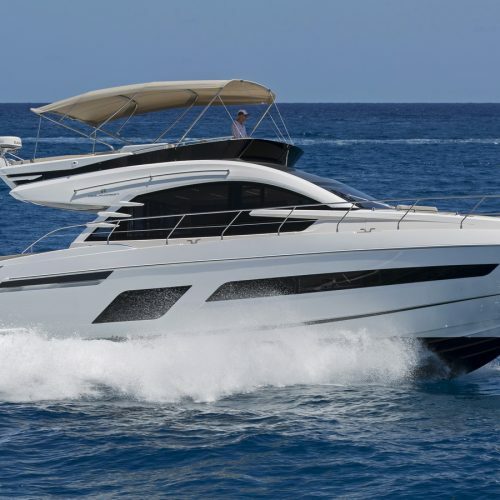 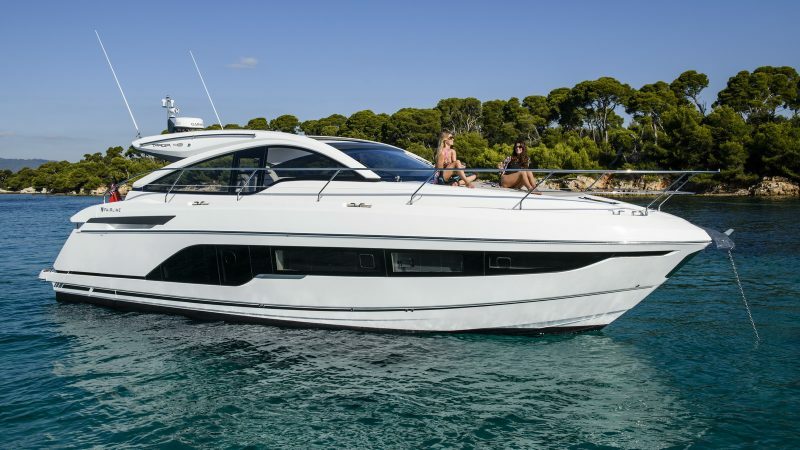 Fairline’s latest Squadron model, which is currently in its development programme, will be a true class leader in terms of the flexibility of its spacious accommodation and its styling. 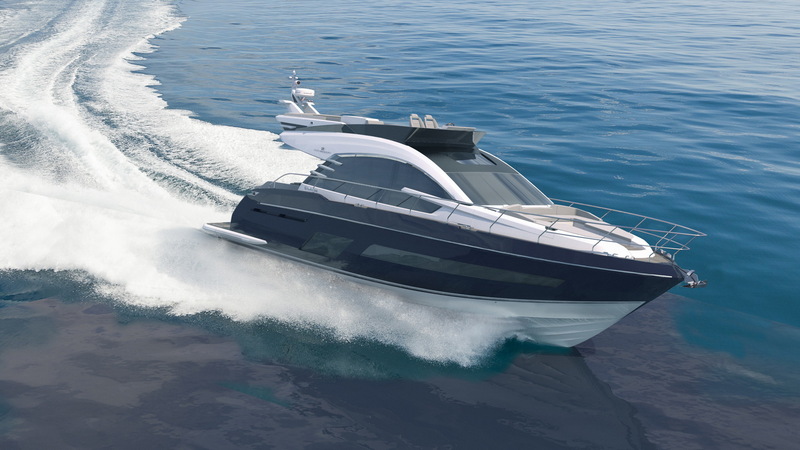 This new boat is the next step in the long tradition of iconic Fairline design, incorporating beautifully tapered hull glazing that emphasises the dynamic character of the Squadron concept and ensures that the spectacular master cabin is filled with natural light. 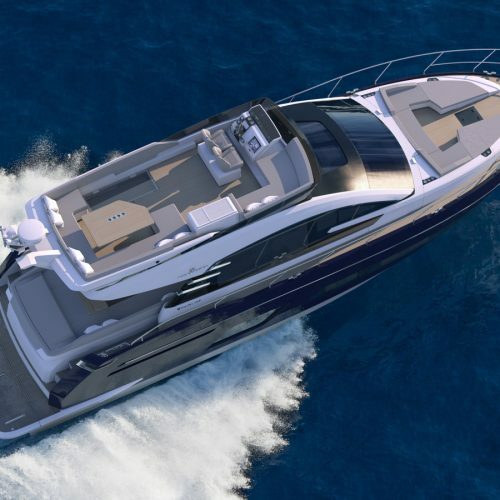 The mid-ships master cabin is complemented by a double guest cabin forward and a versatile twin cabin to port. 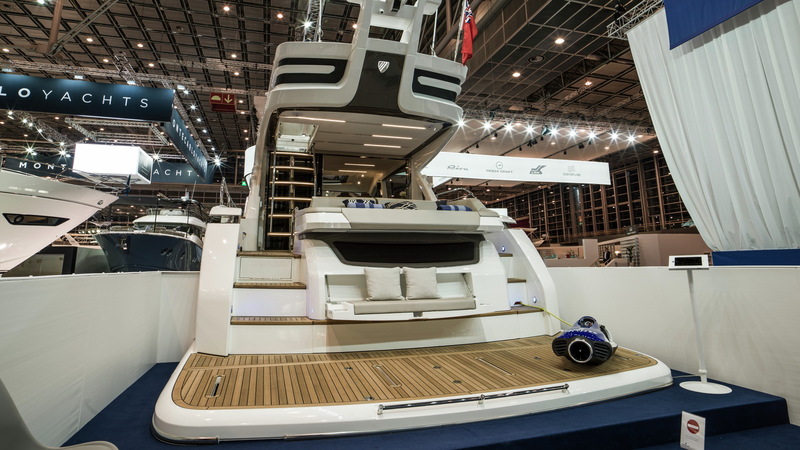 The cockpit and saloon accommodation has also been well thought through offering “J” shaped cockpit seating. 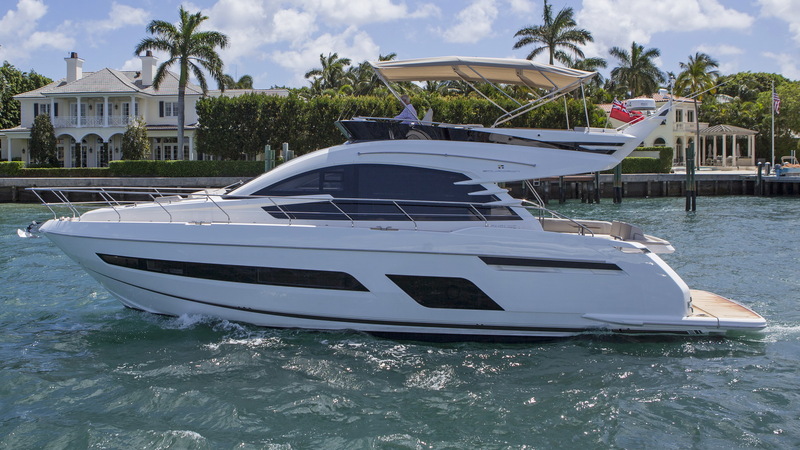 The Squadron 53 offers a choice of three shaft driven engine options from Volvo and Cummins as well as an optional crew cabin with its own window. 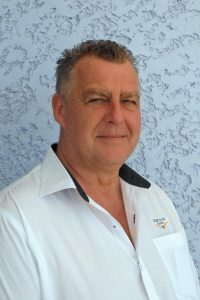 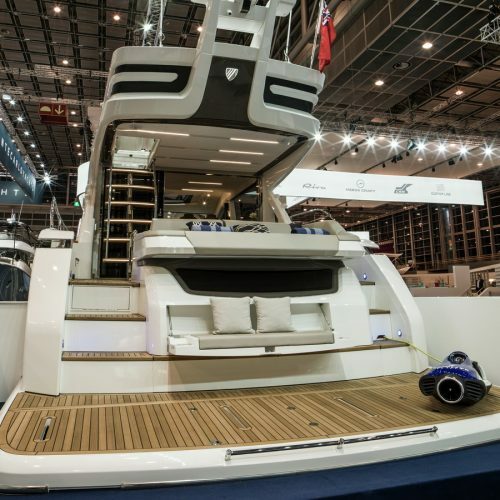 The opportunity for stabilisation systems has not been forgotten either with a choice of either gyroscopic or fin stabilisation providing another opportunity to customise your boat. 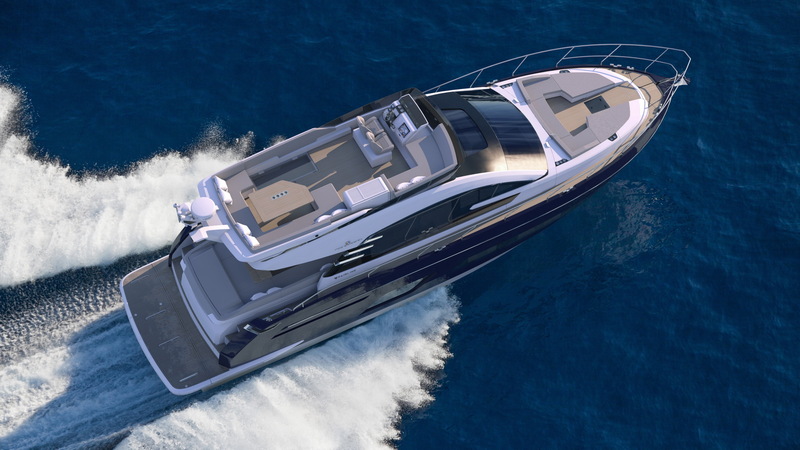 But perhaps going ‘up top’ provides one of the most breathtaking moments of all. 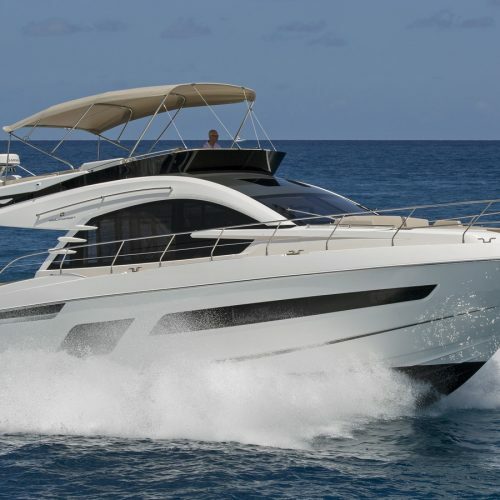 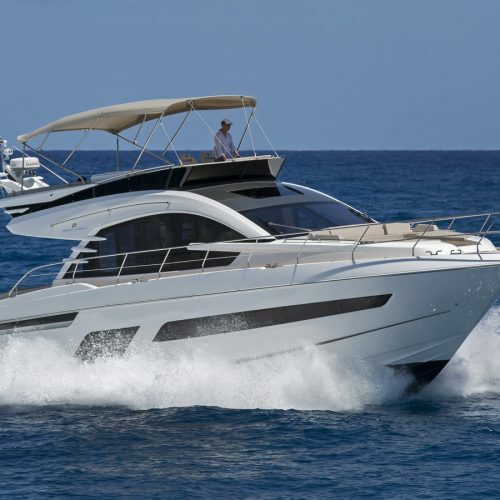 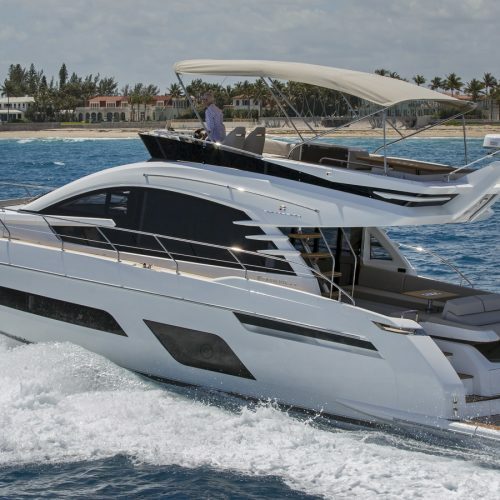 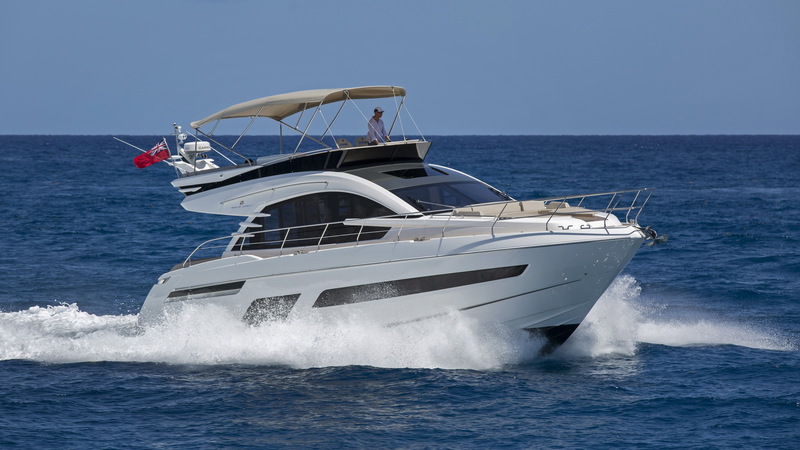 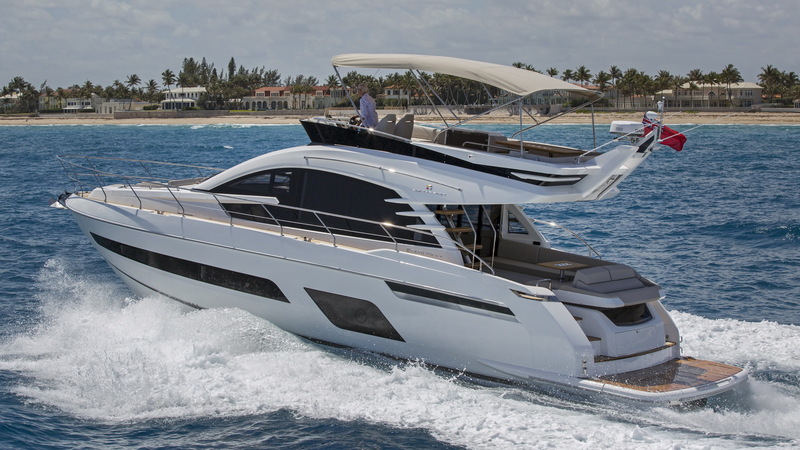 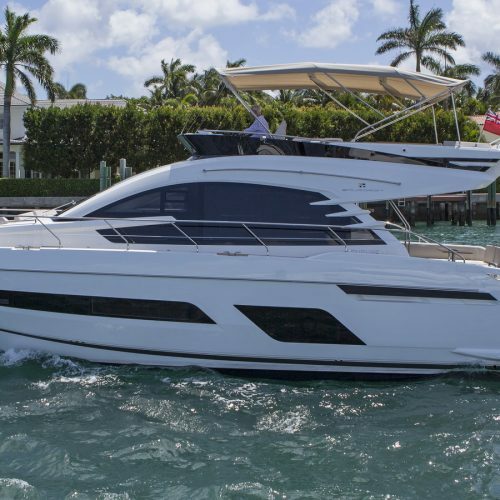 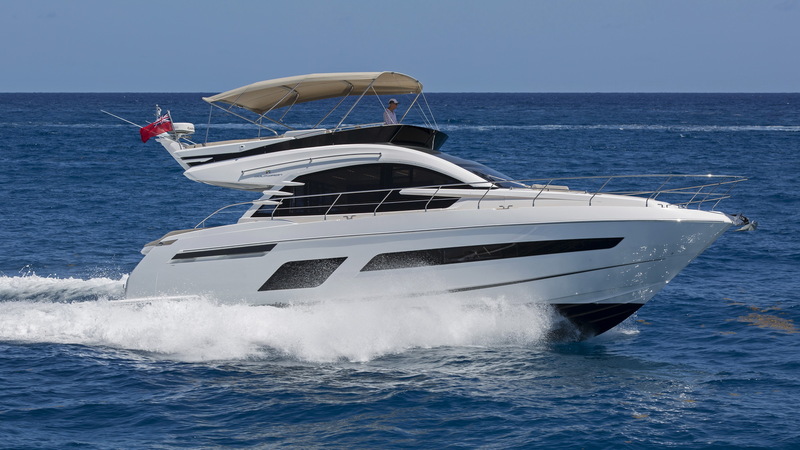 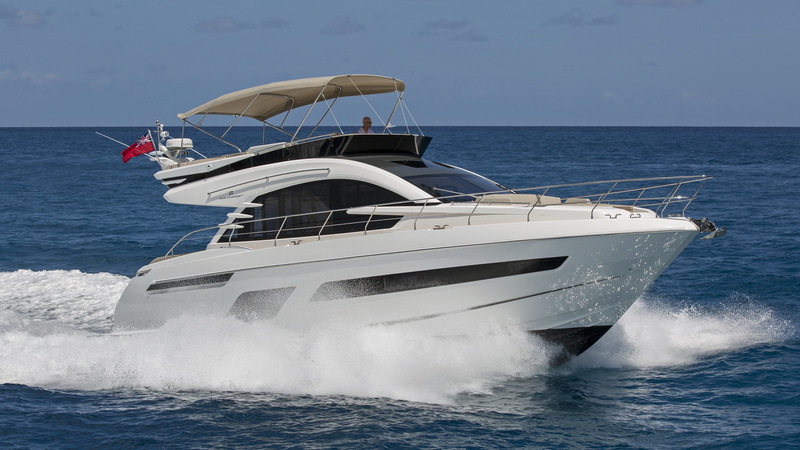 The swept flybridge design provides an exhilarating position from which to command the boat. 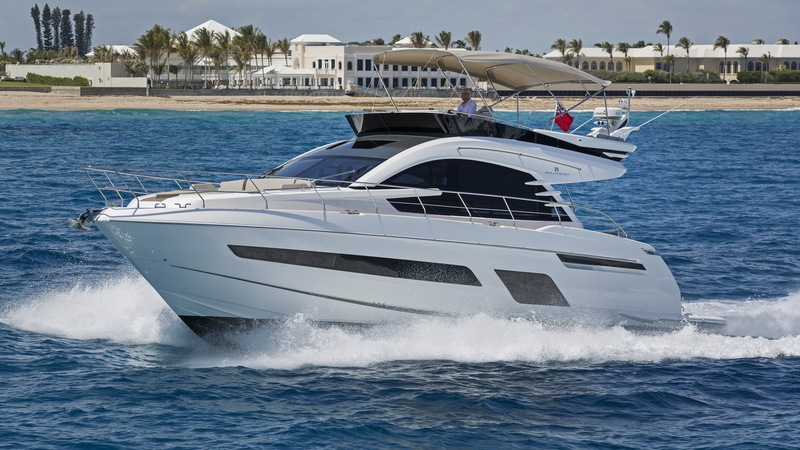 It exhibits all the latest thinking when it comes to facilities for entertaining guests and relaxing in style. 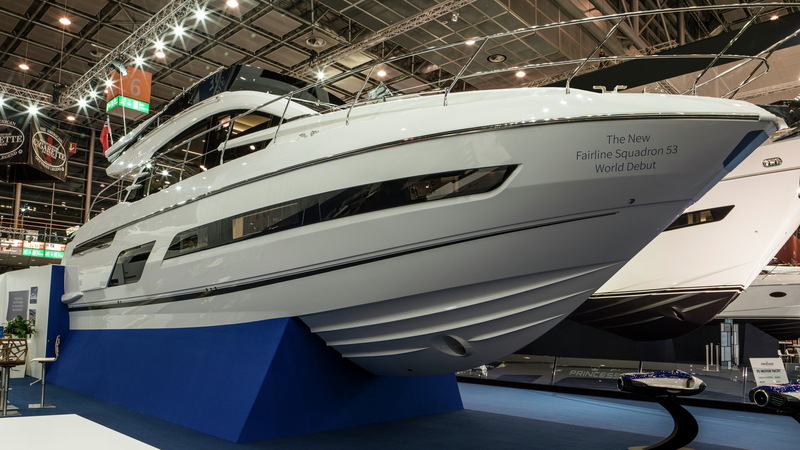 So whether you’re on the move or at your favourite anchoring spot, there is no finer place to enjoy your boating with Fairline.